This Old Man Waiter is very popular for the home; customers like to place him beside their chair to hold a glass of their favourite tipple. 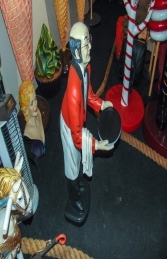 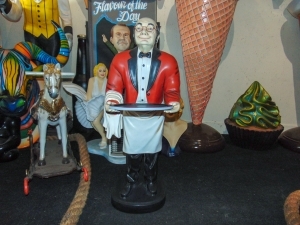 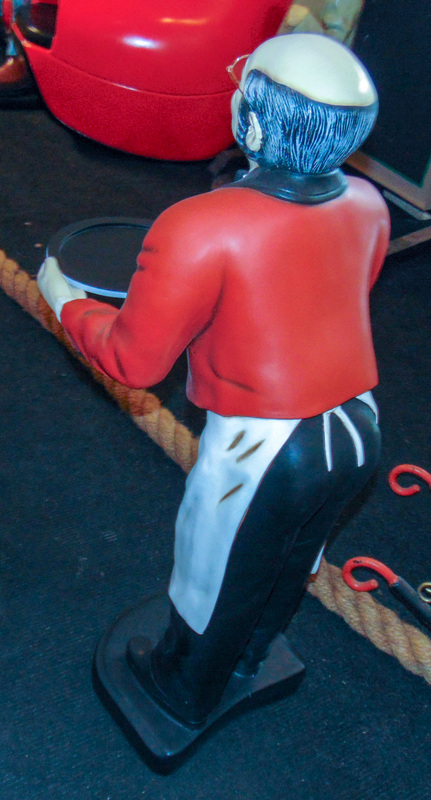 The Old Man Waiter is one of our most popular small models as he ideal for home use as well as to promote businesses. 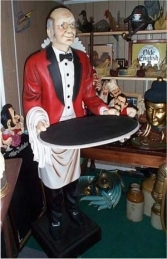 He comes with a tray for menus etc. This model is great to use if you don't have the space for the 6ft version (JR HFOW6) & is a complimentry model to our 3ft Old Woman Waitress (JR 371). This model is a dramatic & attention grabbing way to make YOUR shop, pub, restaurant or café stand out from the competition.